Hanoi (VNA) – Large local banks, which are chosen by the State Bank of Vietnam (SBV) to apply Basel II governance standards, are trying to increase capital to meet the standards. Under the SBV's plan, ten commercial banks will officially apply international bank management standards in accordance with Basel II governance standards from this month. The selected banks are the biggest and most prestigious ones in Vietnam, and they include the Bank for Investment and Development of Vietnam (BIDV), Vietnam Bank for Industry and Trade (VietinBank), Joint Stock Commercial Bank for Foreign Trade of Vietnam (Vietcombank), and Vietnam Technological and Commercial Joint Stock Bank (Techcombank), in addition to Southeast Asia Commercial Joint Stock Bank (ACB), Vietnam Prosperity Bank (VPBank), Military Commercial Joint Stock Bank (MB), and Maritime Bank. The other banks were Sacombank and Vietnam International Commercial Joint Stock Bank (VIB). The banks, which will pilot capital and risk management methods according to Basel II standards, will complete the pilot by 2018 and the Basel II application will be then deployed at other commercial banks in the country. Local banks currently apply the Basel I. However, to be able to apply the Basel II standards, local banks must increase capital as their capital adequacy ratio (CAR) would reduce. Banks, which have the CAR of around 9 percent, would have to increase capital to meet the Basel II standards. BIDV, for example, would have to mobilise more capital to meet the Basel II standards as its CAR is only roughly 9 percent. According to BIDV Chairman Tran Bac Ha, BIDV is negotiating with partners and it expected to finalise the deal this year. If the deal is successful as planned, BIDV's charter capital would increase from 31.481 trillion VND (1.43 billion USD) to 37.777 trillion VND (1.72 billion USD), helping the bank meet the Basel II standards. Vietinbank is also under pressure to increase capital to meet the Basel II standards. The bank's CAR by the end of 2015 reduced to 10 percent while its total asset increased sharply by 17.8 percent. To meet the capital demand, Vietinbank would have to continuously issue more bonds. Last year, the bank successfully issued 8 trillion VND (365.29 million USD) in secondary bonds to supplement its capital. However, according to Vietinbank's General Director Le Duc Tho, the better solution is that the government should enlarge room for foreign investors at local banks between 30 percent and 40 percent or even higher. However, the State would still hold the dominant ratio of 51 percent in the banks, he said. 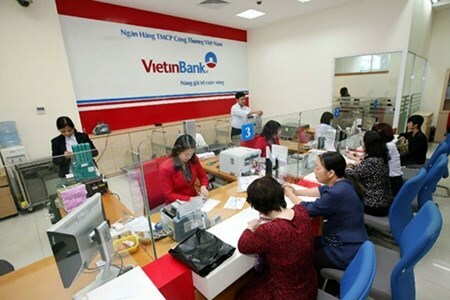 Vietcombank Chairman Nghiem Xuan Thanh also agreed, saying that the Government should have an itinerary to increase the caps for foreign stakeholders in local banks to between 30 percent and 35 percent. Besides, as the State has no more capital to pump into State-owned banks, it should reduce the State ownership at the banks to help them increase capital, Thanh suggested. Basel II is a new, higher level for Vietnamese banks in accordance with Basel Accords standards set by the Basel Committee on Banking Supervision (BCBS). The application is flexible to different countries but the overall spirit is tighter regulations on banking operations. Industry insiders said that the Basel II application in Vietnam would be a challenge for local banks, however, it was a must as it is believed to be the best solution to make Vietnamese banks healthier. Le Trung Kien, Deputy Director of the SBV's Department for Banking Operation Safety Policies, said that banks would face challenges in human resources and finance when the Basel II is applied, however, applying Basel II's standards is a key task listed in the programme on credit institution restructuring. Besides, Kien said, it was indispensable for local banks to apply the Basel II when Vietnam becomes a part of the Trans-Pacific Partnership (TPP) as most of other regional banks have so far applied the Basel II or even Basel III. Economist Vo Tri Thanh also said that it is the right time for local banks to apply Basel II and step by step apply Basel III.